Following a recent article in the "Banner" on birds flocking together, I was asked how do people count the number of birds in a large flock. 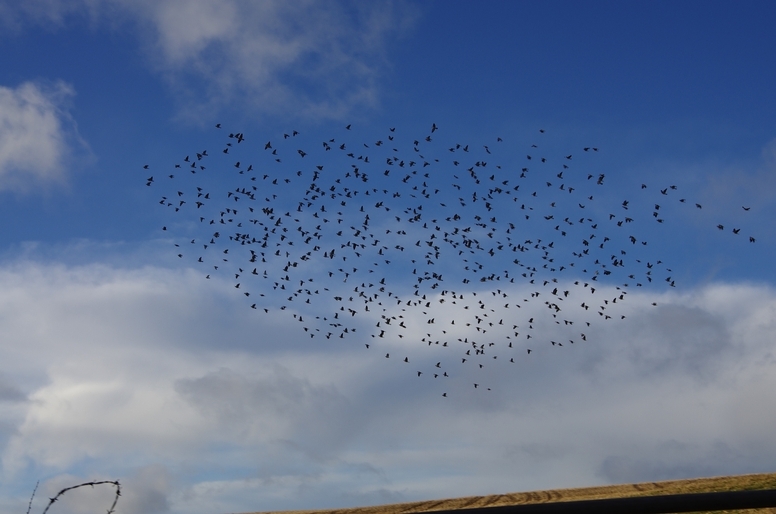 Obviously you could try and count every individual bird but particularly in a flock flying around that would be extremely difficult. One technique that is used is to count a "block" of say ten or twenty birds, judge how much space that the "block" takes up in the flock and then scan the flock and estimate the number of "blocks" in the flock. By multiplying the number of "blocks" by the number of birds in a "block", you get an estimate, often a good estimate of the total number of birds in the flock. Here are a couple of photographs of flocks taken by John and Jean Fitzpatrick in Sliddery to practice the "block" technique on. 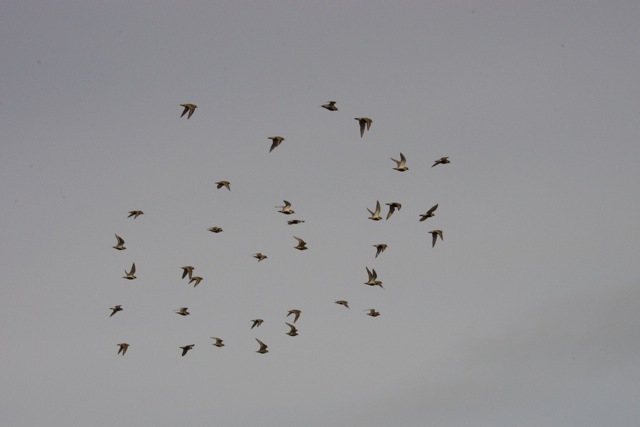 The first image, above, is of Golden Plover and the second one ,below, with the greater number of birds is of Woodpigeon. Taking photographs is a reliable way of obtaining the number of birds in a flock. In the digital age with so many easily carried devices, like smart phones as well as compact cameras, it is relatively straightforward to take photographs of a flock of birds both in the air or on the ground, upload the images onto a computer screen and count the birds.